are you sure you have that core and not the mednafen psx hw core? If you only have the HW core that is why it won't work unless you either download the core or edit that line to use the core you have. If you do have that core then I'm baffled as everything appears to be configured correctly. 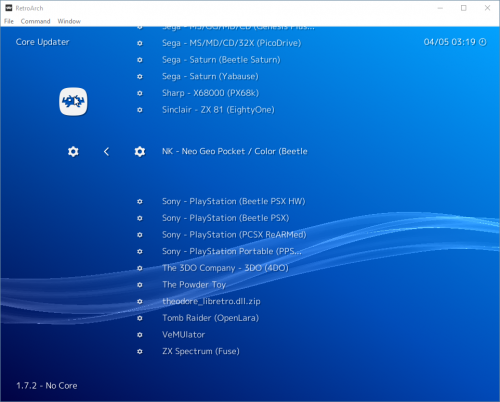 You want the Beetle PSX core if you are wanting the one in your screenshot from the previous post showing the command line parameters. The Beetle cores in the downloaded is the Mednafen cores, yeah it's stupid how they did that but that is what they did. is their a chat room i cnan talk to someone in near real time. I downloaded the core and tried to load a game, still no success. Do I need to Change a command line? What file format should the ROMs be in? Try the support channel in our discord server.